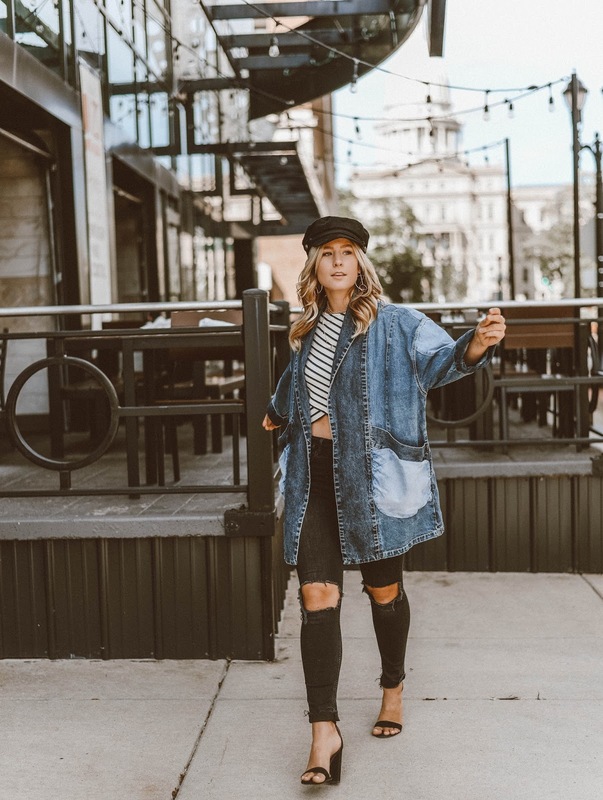 Oversized Denim Jacket | Labor Day SALES! 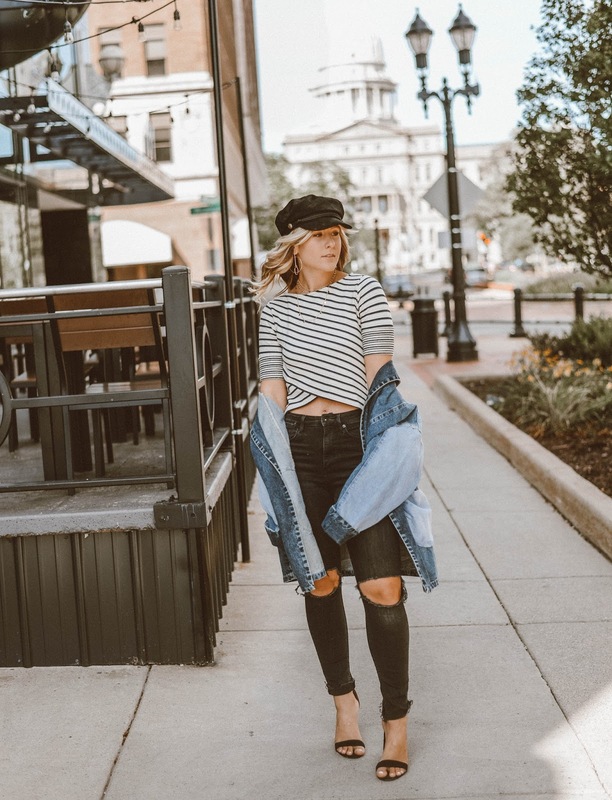 Tis the season for summer to fall transitional clothing! Like any time of the year, Michigan is always unpredictable with the temps. Last week we had a day in the high 50's and today it's 80! So, you never know what you're going to get. 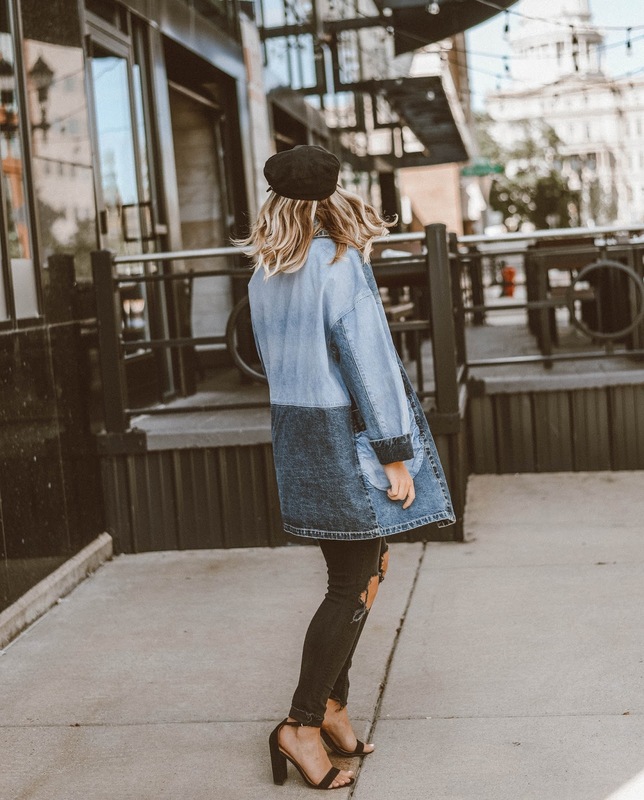 Lately, I've been obsessed with this oversized denim jacket. 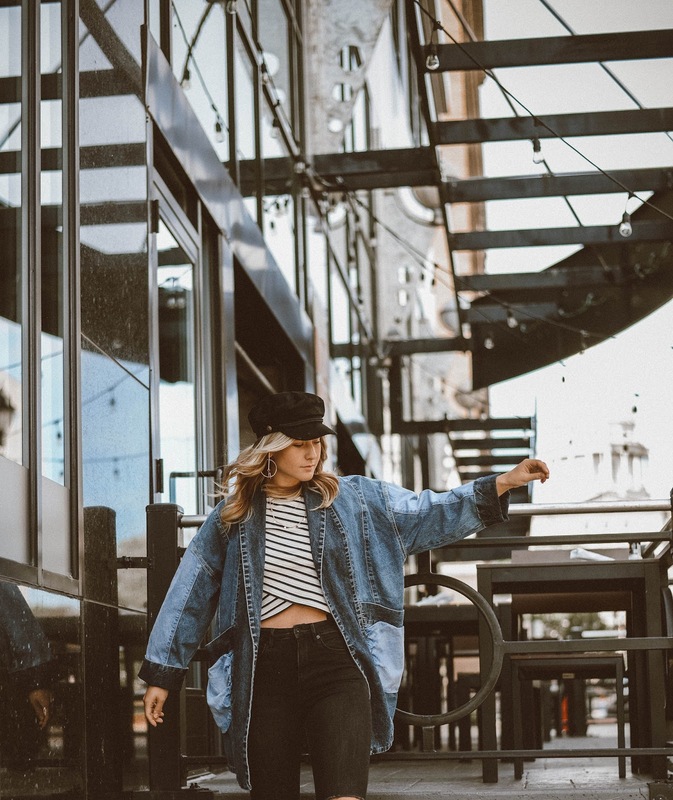 It's not your average denim jacket though. Which is why I love it ten times more! I stumbled across it while online shopping the Anthropologie sale about two weeks ago! So 1, it's mega cute and 2, it was on sale. Win win! It's also still on sale in a size M & L - currently an extra 40% off today for Labor Day -- So act fast! I paired this jacket with a comfy Three Dots top. Super cute and causal to wear with black jeans and statement earrings!